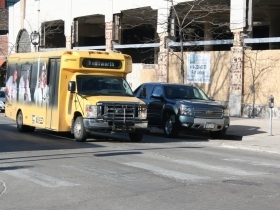 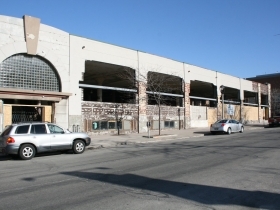 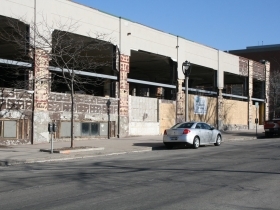 Joseph Property Development is in the process of gutting the former Prospect Mall on Milwaukee’s East Side and is now starting the work of converting the mall into a mixed-use apartment building. 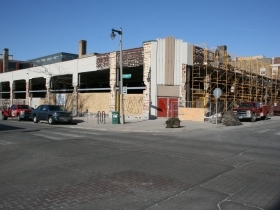 The redeveloped building will have four additional floors, 52 apartments, 10,000 square feet of first-floor retail, 52 underground parking spots, and greenspace on top of the existing building. 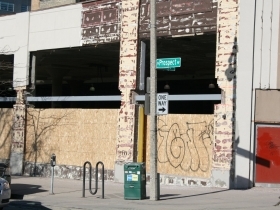 From the pictures you can see the removal of the EIFS facade, the original brickwork, and the locations where new large windows will be installed. 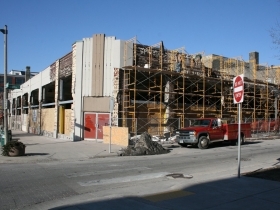 For more on the building’s history see the Prospect Mall Apartments building page.